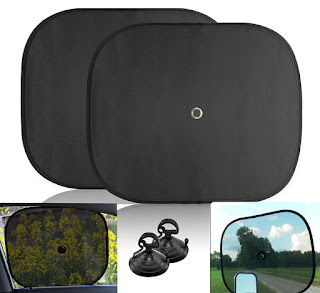 The Big Ant Car Windshield Sun Shade does a great job of blocking harmful UV rays. Installation is quick and easy using the supplied suction cups. 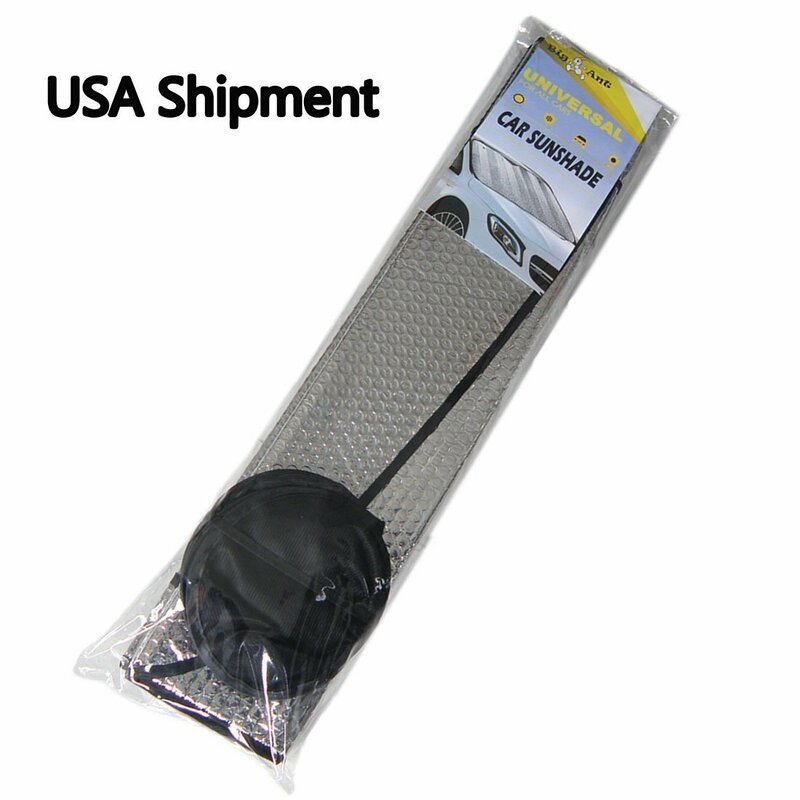 It will help to keep your car cooler during the summer heat. This will not only make you more comfortable during the summer but will also help to protect your car's interior as well as any belongings left in the car. No more burning your hands on the steering wheel or your legs on the seats when getting into your car after it has been parked in the sun for a few hours. 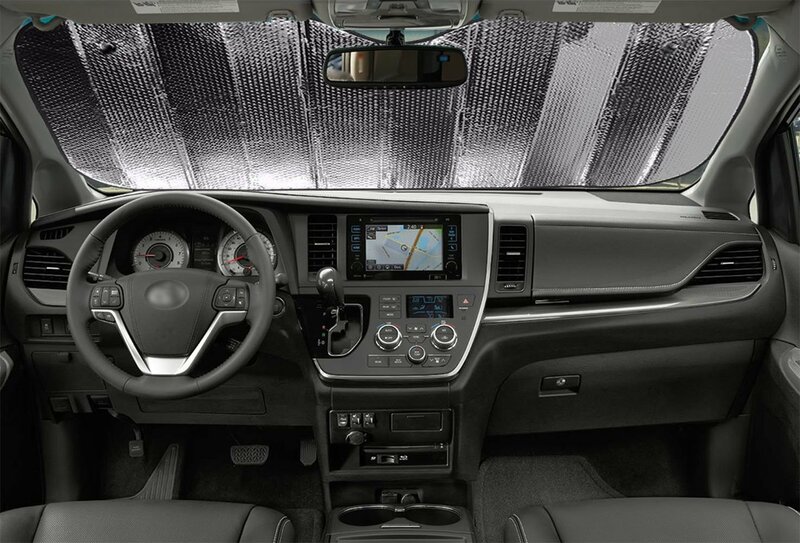 It also comes with a free bonus of two side window sunshades to help keep your car's interior cooler, and also to help keep the sun from beating down on my grandchildren who are riding in the back seat of my car. I remember times when my children got sun burns from a long trip in the hot sun. This is not going to happen to my grandchildren now that I have these car window shades to help protect them. Installation is easy using the included suction cups. Removal is just as easy. No mess and no fuss. When not in use it folds nicely and takes only a small area for storage until the next use. Just fold it up and tuck it back into the package. It's very quick and easy and takes almost no space for storage. It is even shipped from within the USA so there isn't any long wait to get this. Mine came in just a couple of days so I was able to use it right away. This is a nice set and will be used often. I would recommend this to anyone who has a car, and especially those who prefer to keep the sun's heat and UV rays from their car.